Yesterday was a postal holiday. On Friday, the post office was open, and I was off work, so I stopped in. I needed some stamps. I have to mail things every once in a while, so I have to have stamps available. I used my last stamps right before I moved from Baltimore. 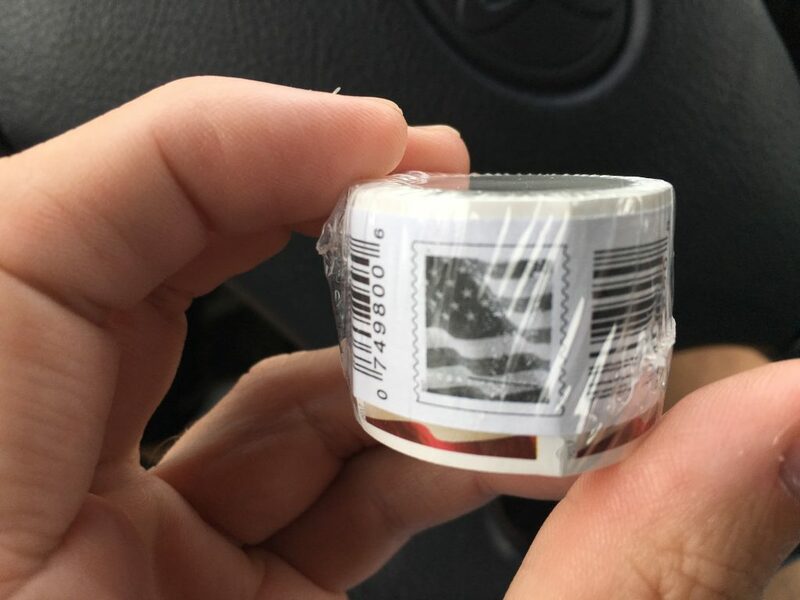 I really only need about one stamp every two or three months, but I find it so difficult to get to the post office, I just decided to get a roll of 100 stamps. This way, I may not have to buy stamps again for the rest of my life. Woo hoo! Well, at least we know when it will happen. Let us know when you have two left so we can make travel plans. Somebody posted on our Facebook Gossip page, asking if there were any stores that sold just one stamp. She was tired of buying books of stamps. She is not your people.